You guessed it, this post is completely dedicated to the importance of a pleasant Powder Room experience. Whether you realize it or not, your Powder Room is the most visited space when home entertaining. You can count on every guest spending at least three minutes in here with undivided attention and judging the quality of your toilet paper. Many a time I have found myself in an unpleasant powder room situation with either crazy counter clutter, an overflowing waste basket or one hand towel for 10+ people to use over the course of 4 plus hours. Yuck! Please planners, do not be this person. Your Powder Room does not have to be equipped with a heated, self cleaning toilet or a motion sensing sink but at least stocked with a few basic needs for a happy experience. First, clean your Powder Room. I don’t think I need to elaborate further on this subject. Second, have extra rolls of toilet paper and better yet, be a gracious hostess by checking to make sure the supply stays plentiful. Third, for goodness sake, empty your waste basket. If you do not have one, for goodness sake, get one, even if that means shifting one from another room in your house. 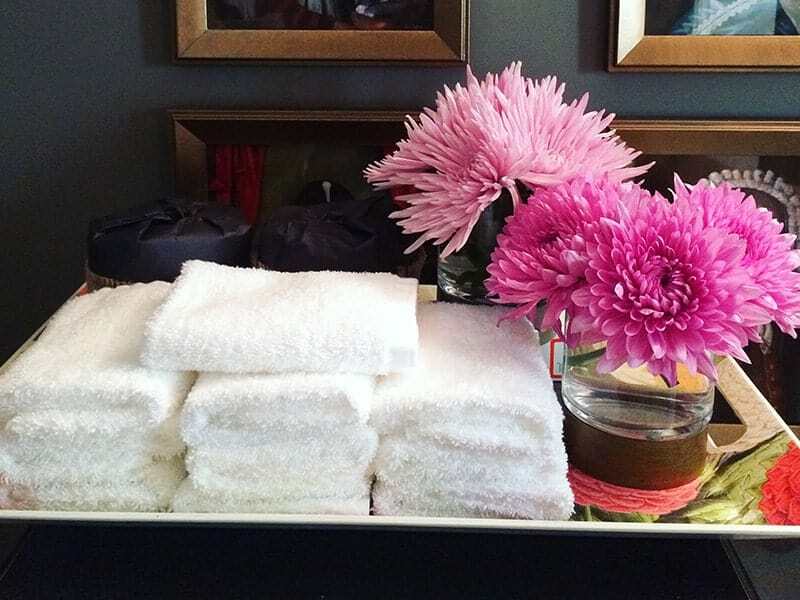 Fourth, the guest towel situation….There are several ways to address this subject but I have a favorite. I’m a fan of the one time use hand towel. Yes, I know this may sound very wasteful and rather expensive if you entertain often. However, if you are like me and prefer not to hurt mother nature’s feelings you have the option of washable hand towels. For my upcoming Bash-At-Home I have purchased a 24-pack of cotton washcloths from Amazon for $14.99 (https://amzn.to/2Kb2knR). They are the perfect size and about the same cost as a package of decent, disposable guest towels. Now you have no excuse for an icky, damp hand towel. Fifth, have a secure and well functioning locking door. There are few things more embarrassing than an interrupted “situation room” visit. Recently, while attending a party at a friend’s house I was faced with such an issue. Well, the non-locking door part at least. To ensure my Powder Room visit remained uninterrupted I was reduced to using a plunger to hold the door shut as my arms could not reach the door while squatting. Beautiful imagery I know but folks, please don’t do this to your guests. Check your locks, or keep a plunger by the toilet (just kidding, check your locks!!). Now, for the fun part, making a statement with your Powder Room! Often, this space is overlooked and put on the back burner when it comes to decorating. Remember the 3 minutes of undivided and judgey attention? Here’s your chance to shine and create a unique space that leaves a positive, and lasting impression with your guests. Whether it be a statement sink, whimsical wallpaper or a punchy painting choose a design feature that reflects you and the way like to entertain. 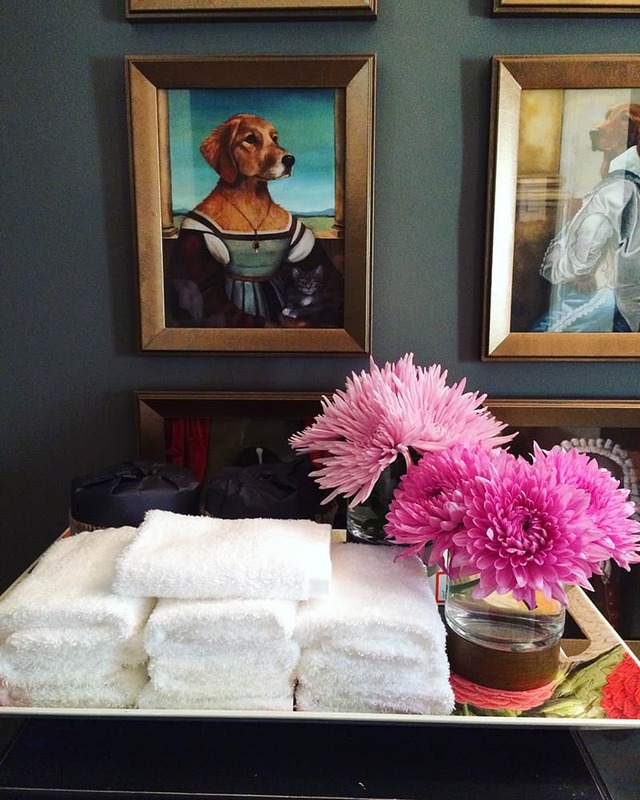 For my personal Powder Room, I went with unique artwork by Carol Lew of Old World Pet Portraits. They are definitely a topic of conversation and a reflection of my love for man’s best friend. One of the portraits just happens to look very similar to my fur baby. 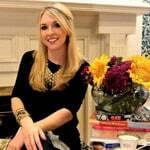 Want tips and help planning your next event? Be sure to sign up at www.bashblok.com to experience the easiest and most collaborative way to manage all your events for free!